Prestige Limousine Service provides travel to all area wineries. 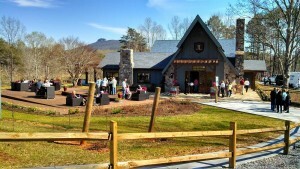 Lexington, NC – Named one of the Top 25 Tasting Rooms in America by Wine Enthusiast magazine (May 2008). The winery is open daily for tours, tastings, and lunch at the Bistro. Also enjoy our picnic area and walking trails. Free weekend music series May through October plus other special events. Accommodations available adjacent to winery at Holiday Inn Express. 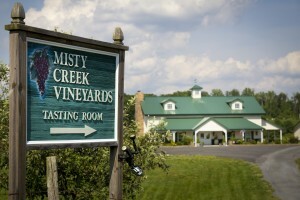 Mocksville, NC – Misty Creek is a family-owned and operated vineyard established in 2001 by the Nichols family. We currently offer 10 wines to tempt your taste buds, including 3 yummy fruit wines. 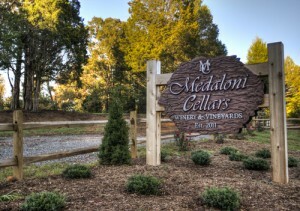 Lewisville, NC – Medaloni Cellars is 22 acres of rolling hills located in the Yadkin Valley. Equipped with walking trails, sunset decks, production barn/tasting room for events and wine tastings. At Medaloni Cellars you have the option of two different wine tastings each comprised of one ounce pours of tasty varietals. There is the Classic Tasting, which is a standard tasting that includes Riesling, Chardonnay, Merlot, Cabernet Sauvignon and a bonus Vintners Choice that serves as a wild card. Secondly, there is the Premiere Tasting, which includes, Riesling, unoaked Chardonnay, Chardonnay, Rosé, Merlot, Cabernet, Entourage Blend and Sweetheart Red. This gives a wide range of varietals for you to taste and enjoy! Mocksville, NC – The distinctive cupola rooftop of RayLen Vineyards & Winery is a beacon for the southern portion of the Yadkin Valley Appellation. The rolling hills and winding drive will romance you as you drive through 35,000 European varietal grape vines. 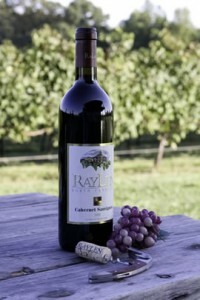 Taste the wines, tour the facility, and settle yourself in on the porch with a great bottle of wine, grown and produced by RayLen Vineyards & Winery. Wine list includes Pinot Grigio, Chardonnays, Cabernet blends, Merlot, and proprietor’s blends. No where will you find a winery with the pristine beauty of the JOLO estate. The vision for the80-acre property is to showcase its natural beauty with focus on the breathtaking views of Pilot Mountain and Cox Lake located on the property. Pilot Mountain rises more than 2,400 feet above the rolling countryside of the upper Piedmont plateau. It boasts 3,703 acres of pristine State Park grounds which attracts over 400,000 visitors per year. Coincidentally, Pilot Mountain was purchased from J.W. Beasly in 1968 by the State of North Carolina. To the native Saura Indians, the earliest known inhabitants of the region, Pilot Mountain was known as Jomeokee, the “Great Guide” or “Pilot.” It guided both Native Americans and early European hunters along a north-south path through the area. The mountain was mapped in 1751 by Joshua Fry and Peter Jefferson, father of President Thomas Jefferson. Pilot Mountain became North Carolina’s 14th state park in 1968. 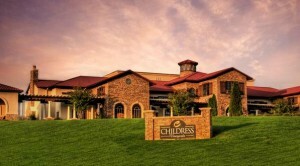 Along with the land areas designated for the vineyards, special event attendees can enjoy the lush, tree-top open fields, spring fed ponds bristling with fish and wildlife, well-marked trails through the wooded canopy, a regulation sized bocce court overlooking the lake, and colorful flower gardens. In addition to the relaxing atmosphere and beautiful views there is ample parking available for all types of vehicles including tour buses and limousines to make the weekend getaway as enjoyable as possible. The Ray family hired top viniculture experts to create the beautiful, environmentally aware vineyards that are the hallmark of JOLO. They have planted an assortment of varietals that are best suited to thrive in the Yadkin Valley and impart the sense of terroir JOLO Vineyards is looking to achieve.